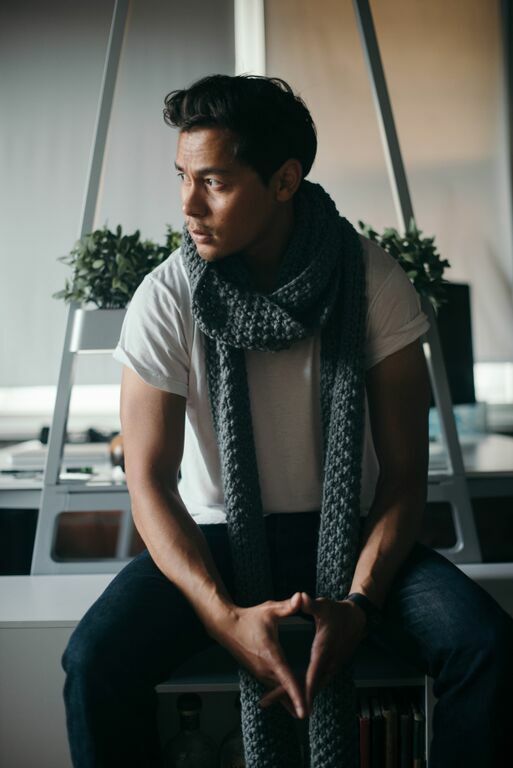 Miso Crafty Knits: Weekend: Simple, Modern Knits :: Review & Giveaway! Weekend: Simple, Modern Knits :: Review & Giveaway! The weather here on the island has been absolutely gorgeous, yet quite deceiving. So often I let the clear blue skies and beautiful sunshine lead me to believe that it'll be warm and somewhat summery outside, when in reality it's oh so crisp and I'm freezing my buns off. Then there's the part where if you're in the sun for too long you're sweating and overly hot but the second you hit a shaded area you get slapped with the cold air and you're shivering to the core. Or at least that's how I've been. So needless to say I've been pouring through all the patterns on Ravelry and in my queue trying to find suitable knits to remedy this situation. The only criteria that I had for such knits was that they had to be warm and quick to knit. Lucky for me, I didn't have to search long or hard because just as I was about to embark on my search I was sent a copy of the recently released Weekend: Simple, Modern Knits by Jen Geigley. Thank you, Jen!! What perfect timing!! 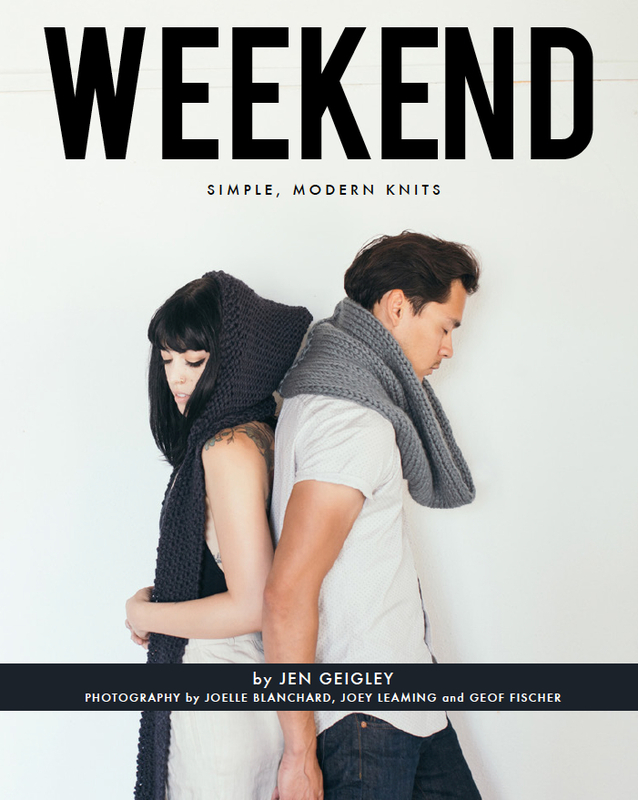 "Weekend is a collection of 12 simple, modern knits for women, men and children. 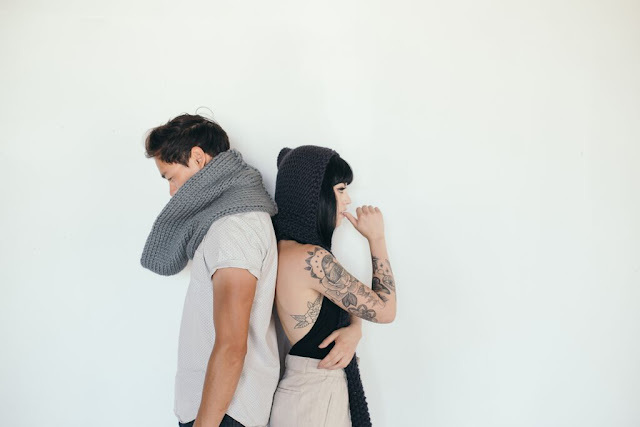 Knits you can live in on the weekend; knits you can create in a weekend." Each design in Weekend is not only contemporary, but also stylish casual pieces that are wearable. They're all whipped up using either bulky or super bulky yarns, which knit up lightning quick. Most of these knits would also be excellent choices for last minute gift knitting or for gift giving in general. 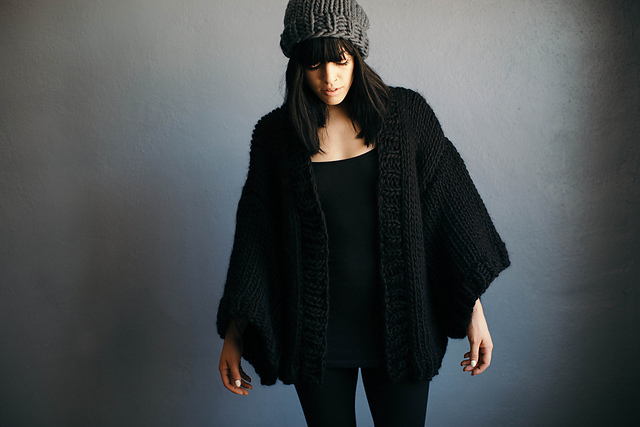 There are 4 scarves (one of them is a hooded scarf), 3 hats, 3 cowls, 1 pullover, and 1 kimono style sweater jacket. Without a doubt, there's something for everyone. I absolutely love everything about this book: the overall look, the photography, and how it was styled. It's seriously beautiful. I've been following Jen for years via her blog and Instagram and I could tell from the very first glimpse that this book displays Jen's aesthetics in every aspect through and though. It's clean, modern, and simple. Jen is a minimalist at heart and you can see that in not only the designs, but in the colour palette, the backdrops, and how all the models' are styled and showcasing each piece. I also love how throughout the book you can feel and see that there's a touch of a badassness going on, which to me, is so very Jen and I think comes from her love of alt, metal, and punk rock music! I've narrowed down my favourites and I'm hoping to cast on at least one of them very soon. I can't tell you how excited I am to know that I'll be able to cast on and bind off one of these patterns within the same weekend, and I'm so ecstatic at the thought that I will be able to actually wear these knits before winter even comes rolling around!! 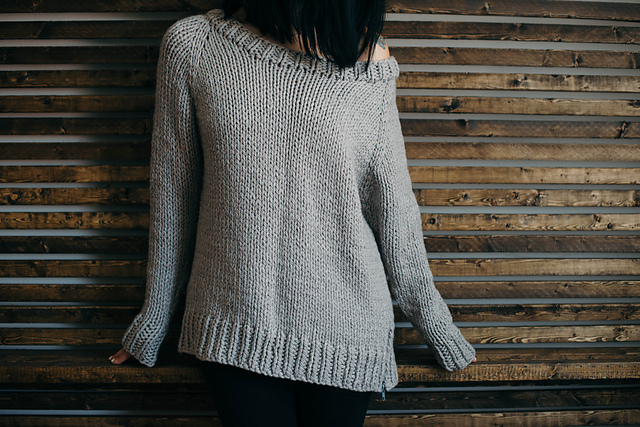 Right off the bat I immediately fell in love with Undone (pictured above), the classic raglan pullover that's been updated with the simple detail of two zippers at the bottom sides. I can see myself living in this cozy, oversized sweater all fall and winter long; it would pair up perfectly with leggings and skinny jeans tucked into boots. This sweater is bound to become a go-to wardrobe staple. I'm seriously entertaining the idea of knitting up a few of these pullovers because I could really use one in a light grey, a dark grey, and maybe even a black in my capsule-like wardrobe. The fact that this pattern would take a weekend to knit up makes it even more appealing! And totally possible to accomplish! Another instant favourite: Little Earthquakes. As far as I can remember, all my life I've been drawn to anything giant and bulky (especially when paired with sleek and asymmetrical!). I truly love the look of a gigantic, oversized cowl and have been meaning to knit myself one for ages but have never been able to figure out what exactly I wanted that cowl to look like. When I saw Little Earthquakes I knew that this is what I've been looking for. What sealed the deal for me was a singular sentence in the design notes: "pull it up over your head and you've got an instant, giant hood to keep your ears and face warm". I've been known to use a cowl as a hood or headband on numerous occasions when out and about. For either warmth or for protection in the rain; regardless of whether or not if the cowl is big enough to be worn on my head. So to read that description? It's like the Universe is telling me that I should knit it! A design that immediately caught my eye and one that I can't stop looking at is Debut. First, it exudes comfort and a contemporary chicness; second, it's named after Jen's favourite Björk album, which also happens to be my favourite Björk album too; and third, I have exactly 4 skeins of Cascade Magnum, the yarn called for in the pattern, in my stash to knit this bad boy up. NOW. 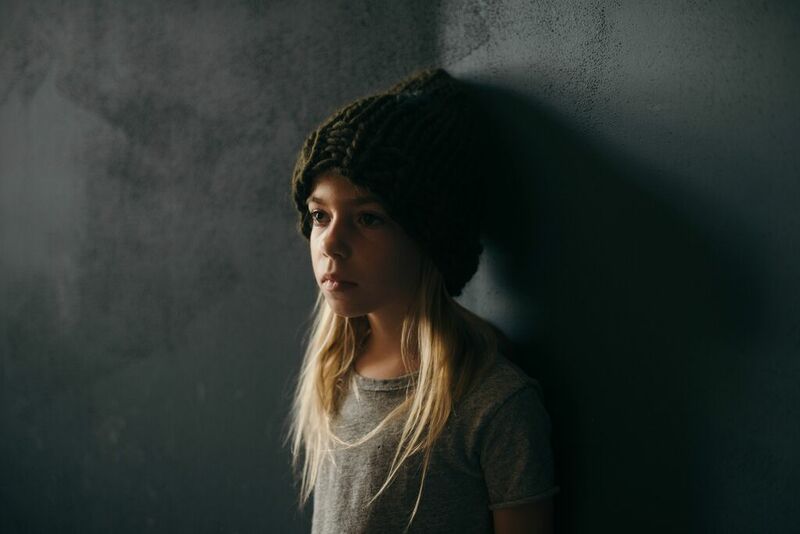 I can already picture myself throwing this on as I head out the door to pick up the Munchkin from school, wearing it out on a lazy Sunday as I enjoy the afternoon with dear friends over coffee and croissants (and a bit of knitting! ), and even wearing it as a jacket while I jolt around town running errands. Although Debut is knit in pieces, I think I can pull it off since it's just sewing together straight edge pieces. I greatly appreciate the thorough seaming instructions in the pattern as I never know what method(s) to use or where to even start. I really like that Jen included the two seaming techniques used in the pattern. So often the instructions will say something along the lines of "sew pieces together" but rarely recommend what kind of seaming technique to use and where. After reading and thoroughly going through each and every pattern in this book, I think knitters of all levels would enjoy Weekend. The patterns are clearly written in a clean layout and the designs are simple and fast. A beginner would be able to knit any of these designs and yield a beautiful item that they could wear instantaneously and be proud of, while an advance knitter would enjoy an instant gratification project (and still be darn proud!). Leave a comment telling me which pattern is your favourite. Don't forget to also include your email or Ravelry ID with your comment, because how else can I get a hold of you if you are the lucky winner? * Please note: all photos in this post are © Joelle Blanchard, Joey Leaming, and Geof Fischer and are used with permission. I am not affiliated with any of the companies mentioned in this post. I received no monetary compensation for my review. I was sent a copy of the eBook for review purposes in exchange for posting the review. The opinions I've written are my own and I will not be receiving any commissions from any of the links provided in this post. Thanks so much! Good luck to all!!! My favorite is Debut...comfy & cozy! I'm so happy that you're posting regularly again. Each pattern in the book looks like a great project but Debut has to be my favourite. I'm the same as you - as soon as I laid eyes on Undone I thought I MUST make this, and soon! Thanks so much for hosting this giveaway! I must have Debut in my life!!! My email is knittygurl@gmail.com and my Rav ID is knittygurl :) Thanks again! Undone is my favourite, simple and beautiful. ravid: mradford. What fun patterns! I've got to go with Undone--looks like a sweater I'd live in! OMGosh. 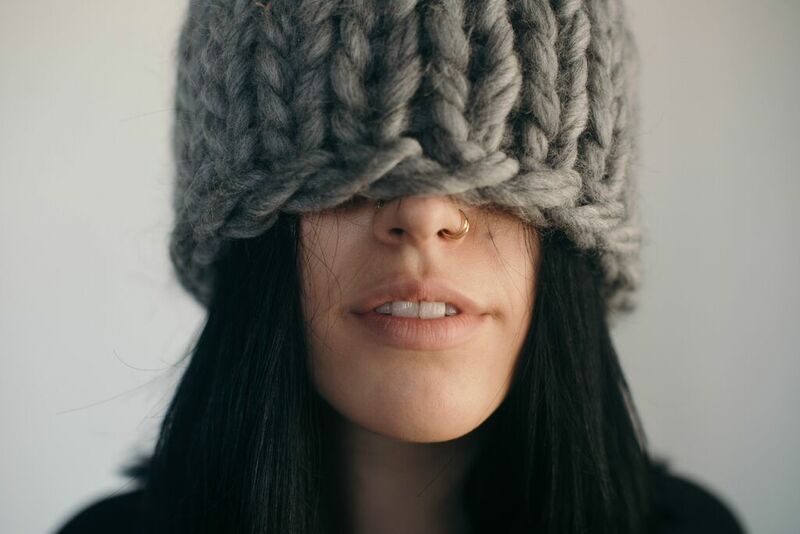 Bulky knits always look so chic. What a great job this designer did. I love Little Earthquakes or Distortion right off the back! I would totally knit everything in this book! But if I have to pick just one it would be Debut. I love cardigans, and this kimono cardigan looks very cozy. Absolutely love Valhalla. Rav ID besharp. I love the texture of Floor! So hard to choose, but Distortion to knit first, I think. Début is the one I am specially excités about!!! I'm in love with Undone!